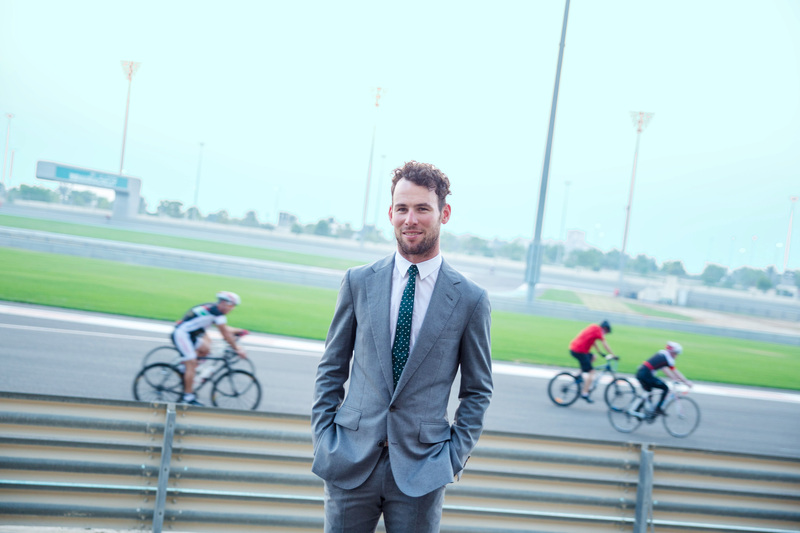 Abu Dhabi, 17 September 2015 – Mark Cavendish, Abu Dhabi Tour Official Ambassador, will be in good company from October 8 to 11. The first edition of the UAE capital race will be honoured by the presence of the best WorldTour teams and some of the biggest stars of the 2015 season, including the recent winner of the Vuelta a España, Fabio Aru, his teammate Vincenzo Nibali and the leader of the 2015 UCI ranking, the spaniard Alejandro Valverde. Racing for the BMC Racing Team will be the former World Champion Philippe Gilbert; Team Katusha will be led by Joaquin “Purito” Rodriguez who is currently second overall in the UCI World ranking; the sprinters will be well represented by, of course, Mark Cavendish (Etixx-Quick Step) together with the German Marcel Kittel (Team Giant-Alpecin). Five great puncheurs – Peter Sagan (Tinkoff-Saxo), Diego Ulissi (Lampre-Merida), Richie Porte (Team Sky), Michael Matthews (Orica GreenEdge) and Tom Dumoulin (Team Giant - Alpecin) – will be also looking for a win. Asia is represented by Chinese riders Ji Cheng (Team Giant-Alpecin) and Xu Gang (Lampre-Merida), while Colombian Carlos Quintero represents South America. Riders from all over the globe will kick off the inaugural Abu Dhabi Tour. Commenting on Abu Dhabi Tour starting list, Aref Hamad Al Awani, General Secretary of Abu Dhabi Sports Council (ADSC) said: “Abu Dhabi Tour has the will to become a reference in the international calendar. Big names and the best teams, including seven squads from the Velon group, assure an amazing competition across the four stages to attract the gaze of the world’s media. We are very proud and ready to host and show our assets to the cycling world”. The Abu Dhabi Tour, organised by the Abu Dhabi Sports Council in collaboration with RCS Sport, will take place from 8 to 11 October. It consists of four stages covering a total distance of 555km; three stages favour the sprinters, while the remaining stage (the 3rd), finishing uphill after a 750m climb with gradients touching 12%, will probably decide the General Classification. In the evening of the last day the Tour will have the honour of hosting the very first UCI Cycling Gala awards ceremony. It’s a unique event to celebrate the end of the UCI professional road cycling season and its stakeholders in Abu Dhabi. Stage 1 – The ADNOC Stage (175km): The entire stage takes place in the stunning Rub al Khali desert, part of Abu Dhabi’s Western Region. Starting among the red sand dunes that surround the beautiful Qasr Al Sarab Resort, the undulating race route accrues around 1,200m of vertical climbing. The riders will trace a ring around Liwa and the nearby oasis, passing through the town twice. The riders then head north along straight roads for 55km, with the slightest of downhill gradients, as far as the town of Madinat Zayed. After the first crossing of the finish line, the peloton then enters a final 15km loop, to be ridden just once. A mass sprint is expected, although the desert winds could influence the outcome. Stage 2 – The Capital Stage (130km): A flat stage across the city, starting at the Yas Marina Circuit and heading towards the southern part of the city along wide and mostly straight roads. After the Sheikh Zayed Grand Mosque and the Exhibition Hall, the peloton turns back on itself, returning to Yas Island, then follows the Corniche until the Emirates Palace. There the riders will face a U-turn, cycling again alongside the Corniche until Yas Island, where the finish line is positioned next to the Yas Mall. Again, a mass sprint is expected. Stage 3 – The Al Ain Stage (140km): The toughest stage of the inaugural Abu Dhabi Tour. Starting from Al Qattara Souq, the first 33km follow a series of broad, straight roads, then the peloton will trace a wide circle around the city, crossing the Green Mubazzarah oasis before starting the final climb. 11km long, the Jebel Hafeet ascent reaches an altitude of 1,000m on gradients that average 7.5% and touch 12% on the lower slopes. The climb, on wide, well surfaced roads and with long, sweeping bends, eases into a short descent with 1.5km to go, before resuming a shallow climb to the finish line. The final climb will, in all probability, decide the General Classification. Stage 4 – The Yas Stage (110km): The entire stage takes place at night, under the floodlights of the Yas Marina Circuit. 110km at night under the floodlights of the F1 Circuit. The peloton will complete 20 laps (5.5km each) culminating in the last Abu Dhabi Tour sprint. The circuit is wide and the surface is in impeccable condition.